Schools tend to get a lot of newspaper coverage. And we certainly had our fair share last year. But as I look back over last year, there’s an important story missing in the mosaic that became 2010-2011, namely our academic performance. In case you missed it, our entire staff did one heck of a job. Our district primarily uses two tests for accountability purposes. The PAWS test is administered by the WDE and is used for our AYP calculations under NCLB (sorry for the alphabet soup). PAWS is a criterion-referenced test based on the Wyoming Content and Performance Standards. On a much larger scale, this is similar to the test many of us are familiar with. You are expected to learn a set of criteria and the results come in the form of a grade based on your performance. The PAWS test categorizes the performance of students into four categories: Advanced, Proficient, Basic, and Below Basic. While we analyze the PAWS results in many ways, the most common measure of achievement is the percentage of students that are classified as Advanced/Proficient in each grade level, school and within the whole district. The district also uses the MAP test. The MAP test is an adaptive test designed to measure learning growth in a variety of subject matter. This is particularly important because not all students arrive in each grade at the same level of readiness, not all students learn in the same way, and not all students learn at the same rate. 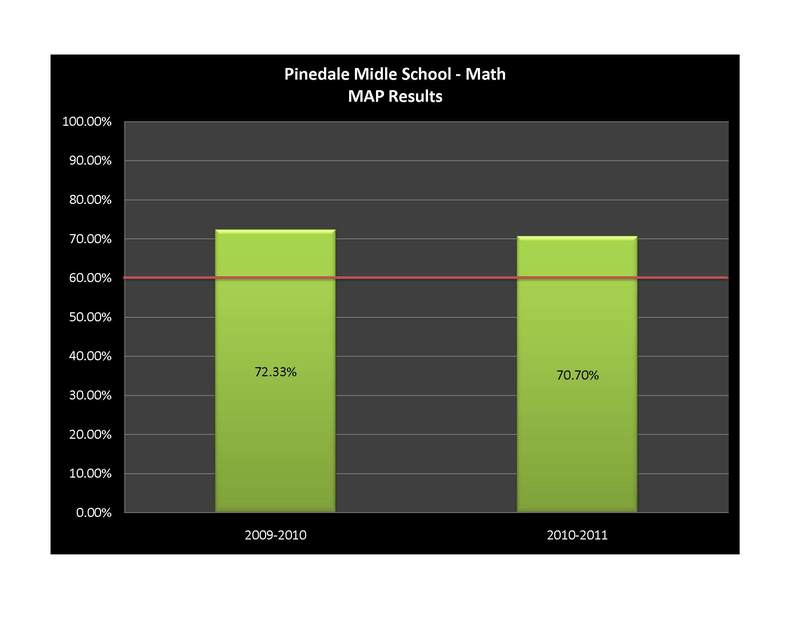 The data we derive from MAP testing allows our teachers to guide instruction and improve student learning. It provides each student with an annual target for expected learning growth. As such, we can use classroom level MAP results as one measure of teacher effectiveness. Because adaptive tests are designed to increase in difficulty as students answer questions correctly, success rates are measured differently. NWEA, the maker of the MAP test, states that classrooms in which 60%-70% of students meet or exceed their expected growth targets are experiencing high student growth. Although the district uses a wide variety of measures to evaluate performance, we use the two measures described above to provide accountability data to the public. 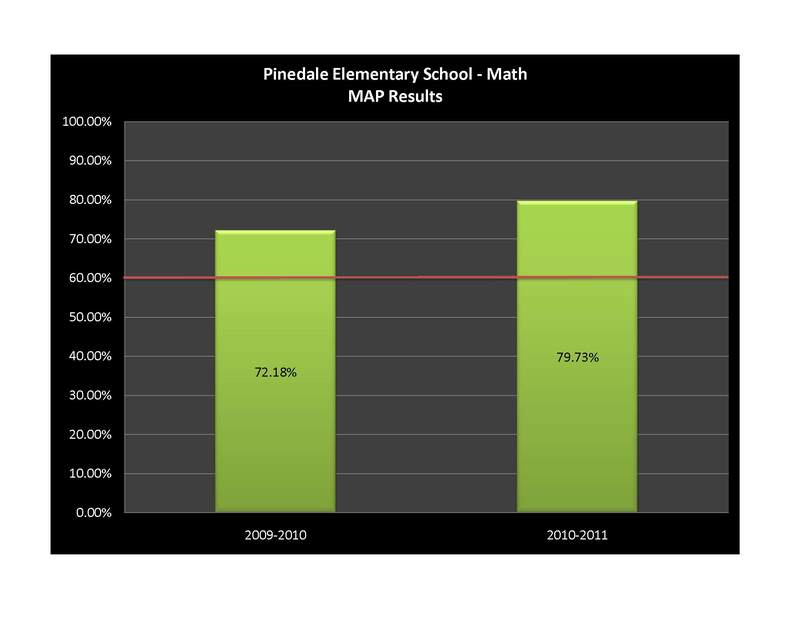 In short, if you are a SCSD #1 stakeholder, you can assess our annual performance by measuring whether or not our PAWS scores have increase or decreased from year to year and whether our classroom and school MAP scores are reaching the 60%-70% range for high student growth (our standard). To enable our stakeholders to quickly access this information, we have created a Quality Dashboard on our website. There you can find district accountability data for student achievement, human resources and finance and operations. Let me illustrate why I think the efforts of our staff are worthy of a headline. 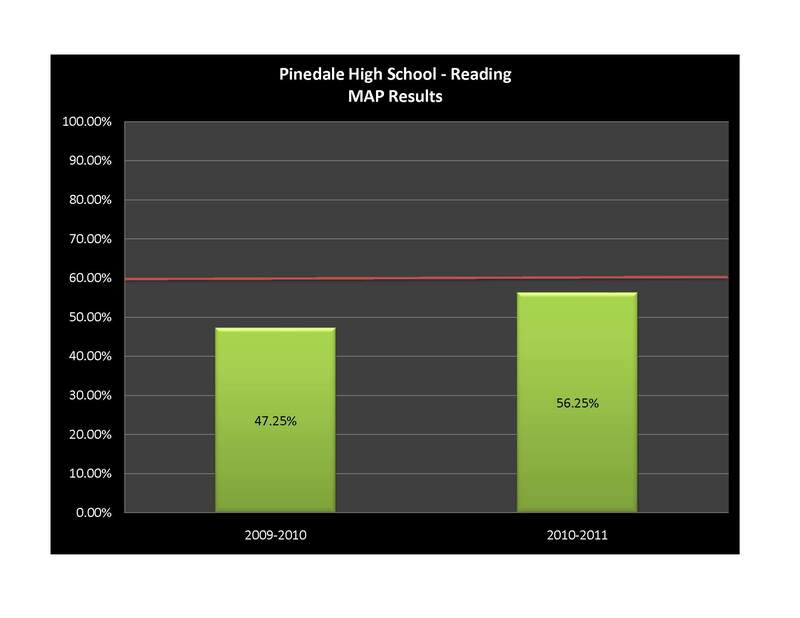 First, our average classroom performance district-wide on the MAP test was 75.55% in Reading. Our performance in Math was 77.20%. Remember that scores above 60% indicate high student growth. Those numbers indicate our classrooms are achieving large gains in student growth. But averages can be deceiving right? Some really high scores can carry some really low scores. That’s true, and therefore perhaps the most impressive fact of our classroom performance is that 97% (30/31) of our classrooms met or exceeded their targets in Reading and 94% (31/33) of our classrooms met in Math. This isn’t a case where a few talented individuals are skewing the stats. If you would like to see the MAP test performance of each school, you can click the individual charts to enlarge them or visit the Student Achievement page on our Quality Dashboard or see the gallery of charts below. Secondly, our PAWS scores saw significant gains from prior years. Our PAWS Reading scores were the highest district-wide average since the inception of PAWS. 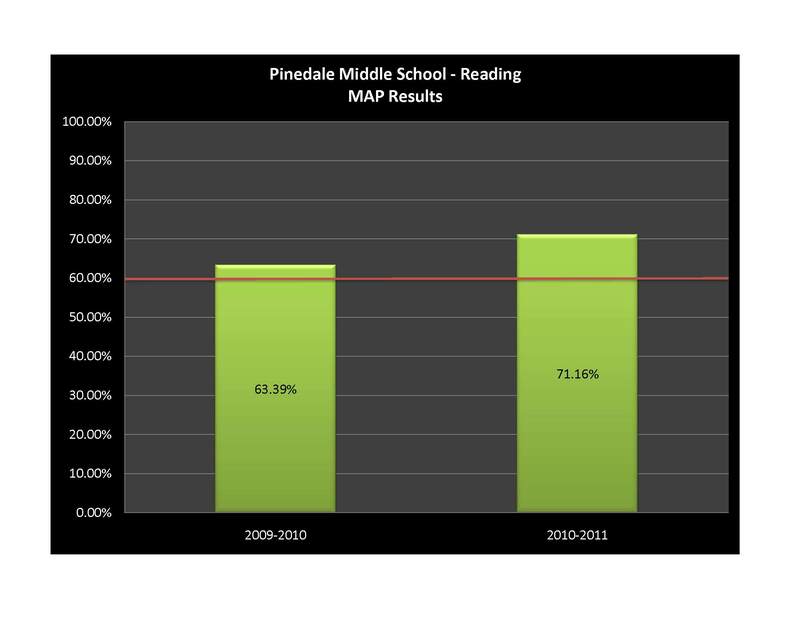 The Reading scores were up 15.6% from last year and 8.98% from 2009. 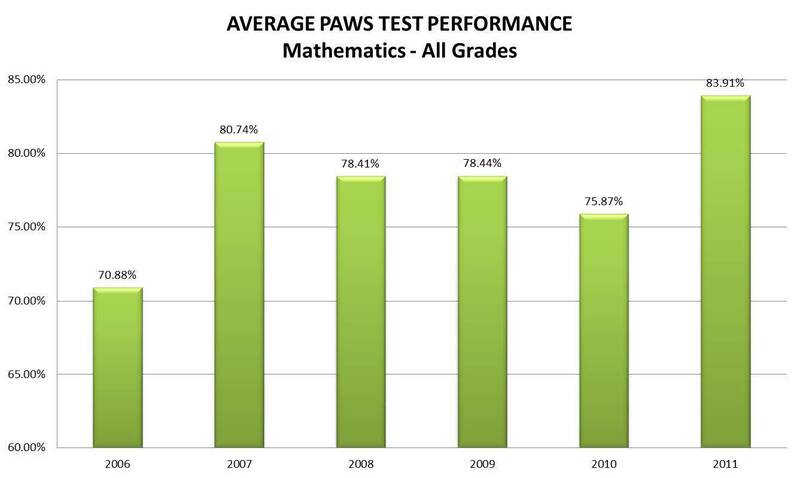 Our PAWS Math scores were just 0.17% off of our highest scores. 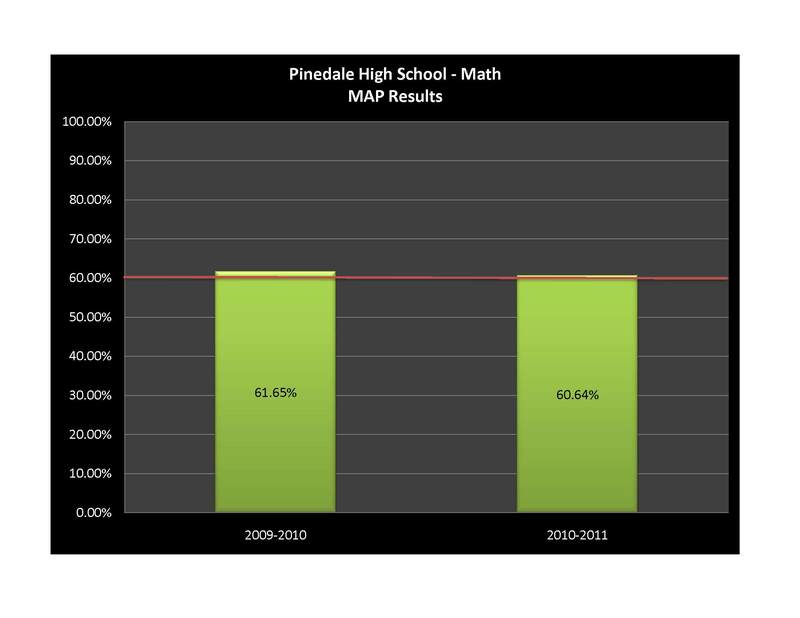 The Math scores were up by 8.04% from last year and 5.47% from 2009. Additionally, both Writing and Science were just marginally off of their all time high scores. It’s can be hard to for someone who doesn’t work in education to quantify what these gains mean. Suffice to say they qualify as significant. And suffice to say our students, teachers and every one of our employees that support both the classroom and our daily operations rolled up their sleeves and put together one fantastic effort last year. I just write the occasional blog post now and then, but from my perspective both the effort and the results are certainly worthy of a headline.